Click on the titles for a free download. If you like what you hear and want to contribute towards the making of more music please buy an album. 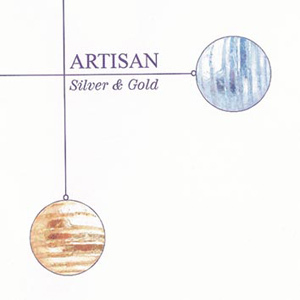 On the Artisan album Silver and Gold. Buy the CD here. Buttermere, Borrowdale, Rydal, Langdale Pike This is a Cumbrian Yule from Dororthy Una Ratcliffe's poetry. We found this long afyter we'd done the Yorladale album in 1988, so it seemed right to put it on a Christmas CD. For the Bah-Humbug Scrooges in all of us. 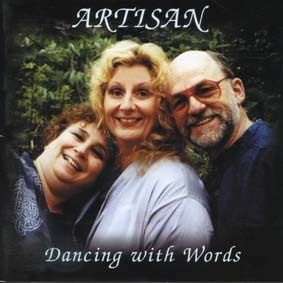 On the Artisan album Dancing with Words. Buy the CD here. You only have to listen to the words to realise why this is still so appropriate for us. When Brian first wrote it, we thought it was a joke. Now, two decades later, we're not so sure. If you feel it's appropriate, please take the song to heart. No matter how old you get, you don't have to grow up. From the Coventry Mystery Plays - music by Gustav Holst. (Harmony arrangement by Artisan). 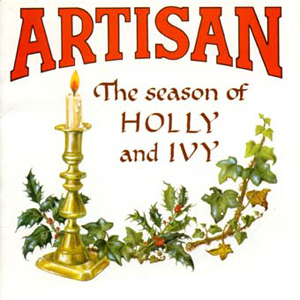 This version recorded on Artisan's 1990 CD The Season of Holly and Ivy Re-recorded on Artisan's 2002 CD, Christmas is Come In. The story of the first recording of this piece is very strange. It was recorded in March 1990, in the days before digital mixing, with the late Eric Cowell of Brewhouse Music, who used to record straight to stereo, not even on multi-track tape. We wanted to overlap the chorus and the verses, so we recorded all the choruses and 'counted' the gaps between to leave space for the verses. Eric said we'd never get the timing right, but we asked him to trust us and try it out, just once. When we sang the verses into the gaps, we were spot on first take. Good job we were because I'm not sure we could have done it twice. 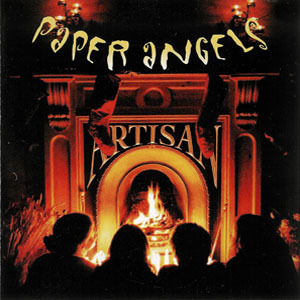 Arrangement and vocals by Artisan. 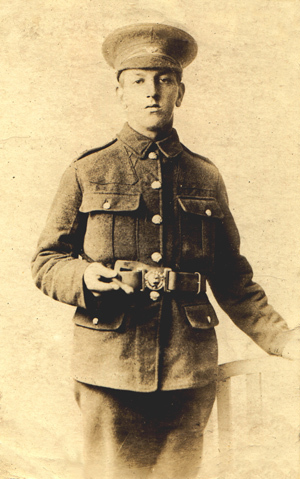 Jacey's granddad, Tommy Bennett, took part in the Christmas truce of 1914. A private and then a lance corporal in the Kings Own Yorkshire Light Infantry, he survived the Somme and Ypres, and was invalided out at Passchendale in 1917 with part of his calf shot away, spending almost a year in various hospitals in Scotland and England before returning to a life at the coalface.